Studies have shown that background noises do affect the levels of productivity while people work. Certain types of noises like loud blaring horns and engines of vehicles or conversation tend to cause lower productivity. This is because they tend to disrupt an individual’s focus. Even though the hum of a machine for example does create its own noise, white noise does help with concentration. The best results come when listening to it at a moderate level. 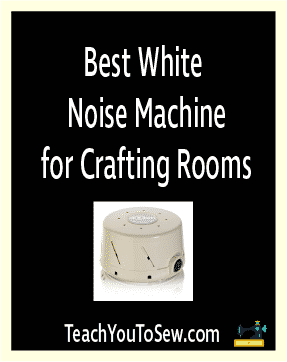 The white noise machines I have selected represent the best ones for use in a crafting room. The machine has been dubbed the official sound machine of the National Sleep Foundation. It operates at two speeds and contains a real fan but without the air blast. The sounds it creates blend into the background preventing disruptions and masking unwanted noises. You can set it at a volume which is most comfortable for you and also at the right tone or rhythm for you. The compact size of the machine also makes it pretty convenient to store without using up much space. A simple twist of the body of the machine produces a customized sound to your comfort level. This heptagonal shape machine makes for an interesting seven sided design. 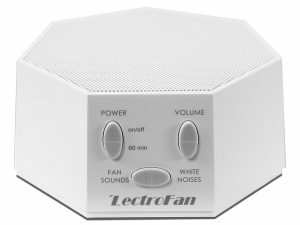 This model comes with fan sounds without the use of a fan, as well as white noise sounds. Each type of sound carries 10 variations for each and they have 50 volume levels. You can incrementally adjust to volume decibel by decibel to get the perfect volume for you to do what you need to do. The sounds do not loop or repeat so the noises generated do not become routine. This model makes use of technology through which sounds are generated by means of computer algorithms. The LectroFan comes in black and white and has a one year manufacturer’s warranty. Let me also no neglect to mention that it comes with a multi-hour sleep button. This will help you determine how long you would like the noises to run for. We know HoMedics products are generally of high quality because they have made a good name for themselves in many households. The look of this model reminds me of a space ship and has a flattened top. It comes in silver and is loaded with five white noise sounds from nature and one general white noise sound setting. As with the LectroFan machine, this one comes with a timer. The timer can be set to 15, 30 and 60 minute intervals with the on or off timer button. The power for it is dual in nature, as it comes with a corded plug as well as accommodates batteries. The battery capability as well as the design and light weight nature makes it convenient for travel. 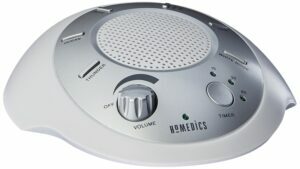 Volume dial also allows you to find your perfect volume to assist with concentration, relaxation or sleep. The sound settings are similar in that it offers the exact same six sound settings. It is definitely however a more bulky machine and at a glance comes across as a speaker box. The on or off timer feature carries 15, 30 and 60 minute settings if you want to turn it off automatically. Just press the button until the one you want to select lights up. Alternatively, you can just turn it on to the sound you want and leave it to run indefinitely. The machine comes with an adapter and also accommodates 3 triple A batteries. Even if the batteries are in when the power goes out while using the adapter, you will have to power it on again. The battery inclusion makes it great for travel even though the shape is not as flat as the HoMedics brand. 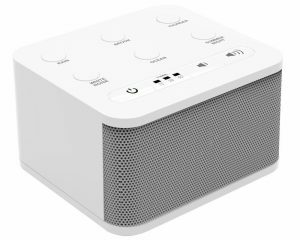 The final white noise machine I have selected for review is equipped with a few added features the others don’t have. This model does well as a sleep, relaxation and focus machine. It comes with a combination of 10 white noise and nature sound settings. Some of the extra sounds include brown, pink and gray noise as well as tropical forest and wind. The speaker delivers superior sound quality and clarity and the machine comes with a jack for earphones or headphones. This machine also comes with a 15, 30 and 60 minute auto off timer, and plays continuously too. There are two options to power this machine. The USB/micro USB adapter is included and it can also house 4 triple A batteries. The SONEic also comes in a range of five colours. Choose from black, white, blue, purple or pink to suit your decor or just your personal preference. It weighs less than a pound which makes it very easy to travel with if needs be. The audio jack feature is also well suited for travel as well since you can use it for drowning out loud noises on long journeys. 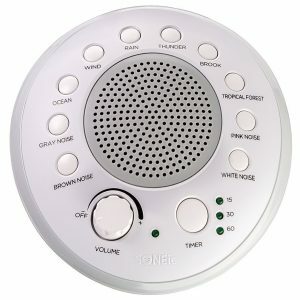 These options for white noise machines can really help to make your crafting and sewing experience more productive. You get to focus on just what each project needs without the disturbance of outside noises. 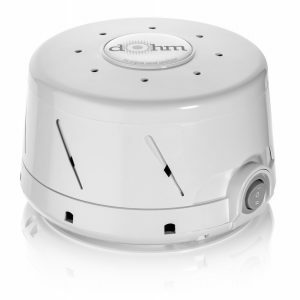 You will especially appreciate the value of a good white noise machine when you need to concentrate on measurements and calculations. These tasks definitely require your undivided attention.